Author Anthony Horowitz makes me upset. Upset that he’s a good writer. Upset for leading me down one path only to blindside me with epic-level plot-twists. Upset for making me think I could figure it all out before he revealed the solution to the central mystery. Did I mention that he’s an Officer of the Order of the British Empire for his contribution to literature? This is upsetting. Anthony Horowitz writes pretty much everything, from the small screen to an awful lot of novels. But lately he has made forays into the world of Sherlock Holmes, starting with The House of Silk and continuing on with Moriarty. While The House of Silk features the legendary detective, Moriarty takes place immediately after the events of the Reichenbach Falls, in which Holmes and Professor Moriarty plunged to their deaths over a treacherous waterfall. In future stories it would be revealed that Holmes survived, but Moriarty did not fare so well. At the start of the story, the body of the criminal Moriarty has been pulled from the falls. A detective from Scotland Yard, Athelney Jones, has been sent to verify the identity of Moriarty and, perhaps, the fate of Holmes. Arriving at the same time is a detective from the Pinkerton Detective Agency in America, Frederick Chase. The detective has been following an elusive criminal named Clarence Devereux from the continent to Europe, where he believes the criminal intended to meet with Moriarty. The question is, why? Another complication arises, however. Like Moriarty, no one is sure what the American criminal looks like. He is adept at keeping to the shadows and using others to do his dirty work. Was he joining forces with Moriarty? With Moriarty gone, could he make a bid to take over the empire of the Napoleon of Crime? With this new player in the game, the two detectives join forces to uncover the truth. I really enjoyed The House of Silk. It was a well-paced, atmospheric, throwback novel that felt like something Sir Arthur Conan Doyle would have approved of (even if I can’t prove that in any way). 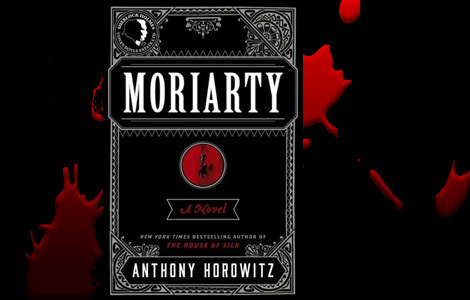 What I liked about Moriarty is that the author continues his exceptional work, but in a completely different direction: new characters, different detectives, and a new look at the criminal underbelly of Victorian London. This one heightens the violence, though. If you like a “cozy,” this might not be for you. In Moriarty, the story is told through the eyes of the Detective Chase, who plays Watson to the Athelney’s Holmes. The companionship between the two is every bit as good as any buddy-cop story. While I read, I could easily imagine future stories featuring the duo. The prose is, of course, fluid and evenly paced. It feels natural in a way a lot of mystery writers would envy. Even though it’s first-person, the supporting players are well drawn. 1890’s London comes alive off the page. While it may not feature Sherlock Holmes, the story feels every bit as if it belongs in the canon. As I alluded to in my opening complaints about the author’s skill and success, there are plot twists and misdirection enough to keep you up all night. The problem is, I didn’t know I was looking the wrong way until it was too late. And yet, the evidence is right there on the page. It’s not a cheat; it’s spot-on and clever But not too clever! I don’t know what else to say. It’s a great mystery novel.